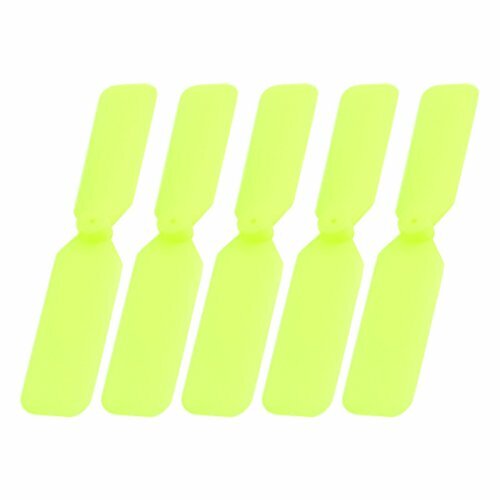 Prop Shaft Hole Dia : 1mm / 0.04";Total Length(Rotating Diameter) : 65mm / 2.5"
Pitch : 0.8";Max Thickness : 6mm /0.24"
Widely used on RC airplane motor, exellent rear push type CCW propeller to push the airplane move ahead. Please Carefully Check the Rotating Diameter and Pitch of the product to make sure it is Perfectly compatible with your RC Plane Motor and Battery. Accessory only, Model Plane is not included here.